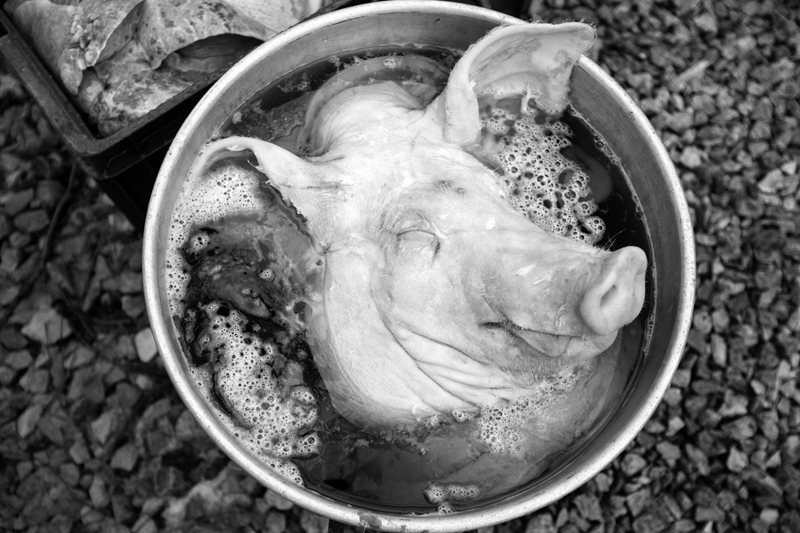 The Schwenk family has been taught by Herb to use every part of the pig possible, including the head. The family turn the heads into head cheese, which several family members said is best served on a cracker with spicy mustard. The only portion of the pigs not used are the stomach and the intestines.